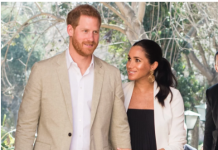 MEGHAN Markle and Prince Harry sparked a huge reaction online when they shared a touching moment together at the launch of her first solo project as a member of the Royal Family. 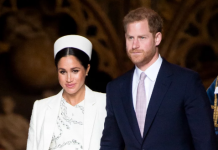 Meghan Markle is still whirling in romance after marrying Prince Harry in May. And as baby rumours continue to spread, the pair’s relationship looks stranger than ever. 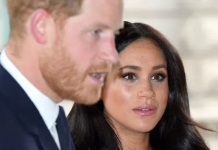 Yesterday, the couple hosted an event to celebrate the release of a book in support of Grenfell Tower victims – a project organised by Meghan. 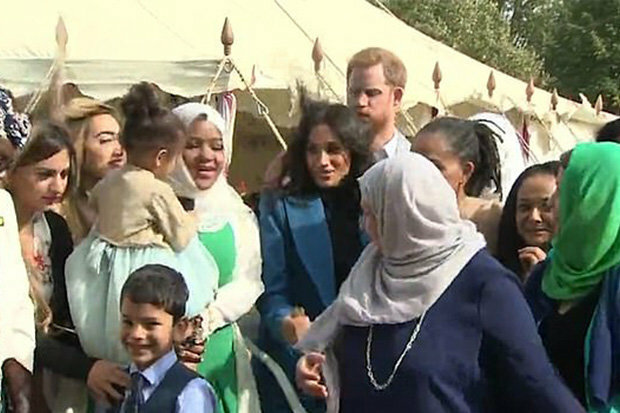 Her mum, Doria Ragland, was an ever-present at her side as she mingled with guests in a Kensington Palace marquee. But it was Harry, 34, who stole the show. 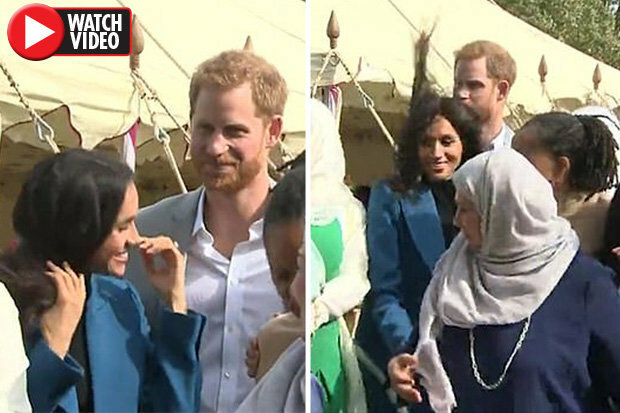 Footage shows Meghan’s hair blowing wildly after a sudden gust of wind but her husband was on hand to quickly smooth it back into place for her. “There is nothing like a husband attending to his wife, this is beautiful,” one wrote. “Always the gentleman,” another added. 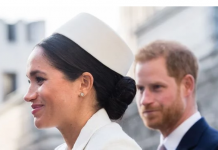 The Duke of Sussex seemed delighted to let his wife take centre stage at the release of “Together: Our Community Cookbook”. Addressing a group at the event, Meghan said: “I’m so privileged to know you. “Working on this project for the past nine months has been a tremendous labour of love. “I have just recently moved to London and I felt so immediately embraced by the women in the kitchen, by your kindness and to be in this city and be in this room and see how multi-cultural it was. “On a personal level I feel so proud to live in a city with so much diversity. 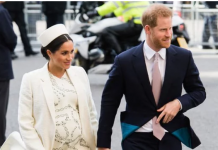 It comes as Meghan appears to be going through a time of crisis within her family. Last month, claims emerged that she flew home to Canada without Harry to deal with a reported family row. The alleged private trip came after Megan’s dad reacted furiously to her apparent wall of silence. It came after Thomas Senior snapped yet again in one of his most explosive rants yet – accusing the Royals of being like Scientologists.